To the Aboriginal people of Toomelah and Boggabilla: We have written this booklet for the Aboriginal people at Toomelah and Boggabilla. The booklet helps explain what the Toomelah Inquiry set up by the Human Rights and Equal Opportunity Commission says in its full Report. We have written this booklet for the Aboriginal people at Toomelah and Boggabilla. The booklet helps explain what the Toomelah Inquiry set up by the Human Rights and Equal Opportunity Commission says in its full Report. It does not cover all the things in the Report. To know exactly what the Inquiry says, you need to read the Report. This booklet has been designed for the workshop for the Toomelah and Boggabilla communities run by Tranby at Toomelah on June 15, 1988. To inquire into and report on the social and material situation of persons in Goondiwindi Boggabilla and Toomelah and identify the social and material needs of these and nearby communities. In particular to inquire into and report upon the extent to which any · problems or deficiencies identified have been caused by inadequate educational and/or employment opportunities and/or other facilities and the existence of the Queensland-New South Wales border between the town of Goondiwindi and the other two towns. To investigate and report on the state of the community relations in Goondiwindi, Boggabilla and Toomelah and the way in which problems identified can be resolved among these and nearby communities. To report on the impact of community relations on the social and material needs of these communities. To recommend to all relevant persons and/or authorities, steps which might be taken to resolve the identified problems of these communities. Five hundred Aboriginal people live at Toomelah. Toomelah used to be a Welfare Board reserve. In 1975 the NSW Aboriginal Lands Trust was given the freehold title to look after the reserve for the people. In 1984 the Toomelah Local Aboriginal Land Council became the owner. The people have belonged to this area for a very long time. One very important sacred site is Boobera Lagoon, the home of the Rainbow Serpent. The Toomelah people might live either at Toomelah or Boggabilla. For shopping and medical treatment, as well as other things, they usually go to Goondiwindi. 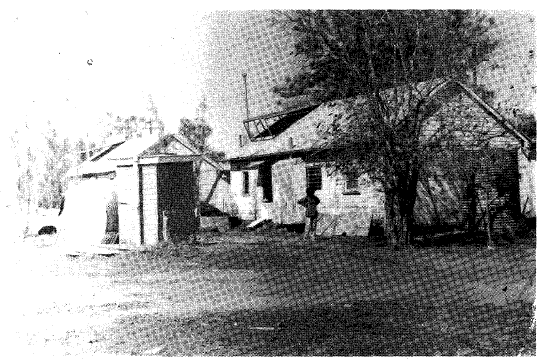 Until the beginning of 1988, high school students had to go to school in Goondiwindi. But there have been tensions in Goondiwindi for Aboriginal people and there was a riot there in January 1987. Some people felt that the tensions finally got too much. The Race Discrimination Commissioner Irene Moss visited Toomelah and Goondiwindi after the riot to investigate the situation. She realised that the Aboriginal people at Toomelah lived in worse conditions than the white people in Goondiwindi. She recommended to the Human Rights and Equal Opportunity Commission that an Inquiry be held into this. who is the President of the Commission and also a judge of the Federal Court of Australia. He was assisted by Sir James Killen who lives in Queensland and used to be a Minister in the Federal Government and also by Ms Kaye Mundine who is an senior Aboriginal Commonwealth public servant. The In.quiry came to Boggabilla, Toomelah and Goondiwindi to take evidence and look at the situation in July 1987. Later in the year, in December, the Inquiry called some government officials before it in Sydney to answer more questions about what they were doing for the people at Toomelah. A list of the people who spoke to the Inquiry is at the end of this Summary. In our Report we make a number of findings about the situation at Toomelah and the reasons for it. Then we make recommendations to try to change things in the future. The main cause was the argument among all the government departments about who is responsible for fixing up the conditions and putting in proper services. The Inquiry found that there was a lot of buck­ passing and no-one wanted to take responsibility for putting in services. We think that the Toomelah people had probably been treated like this because they were Aborigines living on Aboriginal land that used to be a reserve. But this is no excuse. The Inquiry makes some recommendations to try to get the Toomelah people the services they are entitled to. The recommendations say who should take responsibility for particular things. This Summary talks about them under particular subjects. that the DAA should be the main department to check whether Aboriginal communities have proper living conditions. Also there are not enough houses for the people. The Inquiry approves of the NSW Housing Department's plans to build 8 houses at Toomelah. The houses are designed to suit individual families. The new owners are properly consulted about what they need. And the management policy includes self-determination. But the Inquiry disapproves of the ADC's policies. The ADC should follow the Housing Department and have a policy of self-determination instead of self­ help. Also, the ADC should not insist on charging rent on houses that are not up to standard. We are very worried in case no houses are built at Toomelah this year because the NSW Government might abolish the Homes on Aboriginal Land Program. We recommend that it shouldn't be abolished. The Inquiry was really shocked that the Toomelah people didn't have a proper water supply. the school, the pre-school and the clinic didn't have the water supply they needed. We realised how bad this was for people's health and confidence. Most towns or communities with five hundred people, and even less, get water and sewerage services from the Shire Council. We cannot understand why this does not happen at Toomelah. We do not accept the excuse that Moree Plains Shire Council gave the Inquiry and we recommend that Moree Plains should be responsible in future. DAA is also criticised for failing to pick up where the Shire Council did not work. DAA should have made sure there was a proper water supply. The Inquiry criticises the way DAA relies on bore water when Toomelah could get some of its water from the river. So the Inquiry recommends that both sources should be used in future, because the river water could be used for the sewerage. DAA is also criticised for being slow to fund the sewerage works and the plumbing repairs. The Inquiry thinks these things are extremely urgent because they affect the people's health. 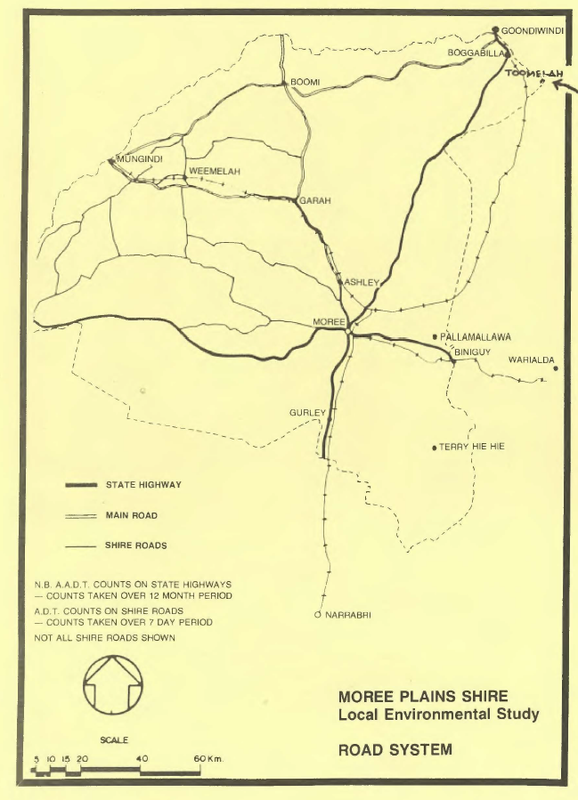 The Inquiry was also shocked about the roads at Toomelah, both the access roads and the internal tracks. For a community of 500 people to be cut off at times because of rain could be disastrous. The roads have to be sealed urgently. The Report describes the progress that has been made to seal the roads since the Inquiry was held. There seem to be 3 problems left. The first one is how soon the tracks in Toomelah can be finished. The delay will be because of the water and sewerage work that has to be done first. If this is slowed down because of DAA being slow to provide the funds then the road will be delayed too. The Inquiry recommends that if this delay is really necessary then a temporary gravel surface should be laid down at once. The second problem is which access road should be sealed: the existing access road or the cemetery route that the community wants. The Inquiry did not decide which one should be chosen. We recommend that the choice should be made by the community as part of the Social Plan. The Social Plan committee should make a report within 2 months and then the road chosen should be sealed at once. The third problem is the creek crossings which could still flood before the roads are finished. The Inquiry recommends that the DMR should provide temporary bridges straight away free of charge. The Inquiry says that Moree Plains Shire Council should be responsible for looking after the roads in Toomelah in future. The Inquiry was amazed that Moree Plains Shire Council treats Toomelah as a 'private settlement' even though the Land Council is supposed to pay rates and the Shire can control whether certain buildings are put up at Toomelah. (For example, the Shire refused permission for the new pre-school.) The Inquiry said that Moree Plains Shire Council should provide services for Toomelah just like it does for other communities in the Shire. If necessary the Local Government Act should be changed to make sure this happens. Anyway, services are so bad at Toomelah that the Land Council should be exempted from paying rates at least until the services and the other conditions, such as the houses, are up to a proper standard. The exemption should cover rates already owed as well as future rates. The Goondiwindi State High School is the biggest education problem for the Aboriginal students from Toomelah and Boggabilla. On the positive side, we were very impressed with the Toomelah Primary School and also hope that a new pre-school will be built soon. didn't have their right to equal education opportunities. The education they received was inadequate. It wasn't surprising that they did not like to attend and often dropped out very soon after they started. So we were very glad to hear about the new Boggabilla Central School. In our Report we describe what the school offers and will offer in future. We make a number of recommendations about these things both for Goondiwindi and Boggabilla schools, and for the Queensland and NSW Education Departments generally. Schools with Aboriginal students should have proper courses and proper support for them. Aboriginal School Advisory Committees should be set up at schools with Aboriginal students. Of course, the Queensland Government must make sure that racist practices do not occur at schools in Queensland. We were also glad that the new Boggabilla school has a TAFE annex. It is important that the courses are relevant to the people in the area and help them to get jobs in the future. We are very worried about the health situation at Toomelah. We describe some of the health problems in the Report. The water supply has a lot to do with the poor health and so does the overcrowding. Isolation also means that people don't get the treatment they need in the proper way. For Toomelah, there should be a full-time registered nurse appointed immediately. Also there should be proper visits by a doctor and also by a dentist and other specialists. We recommend too that the Health Department should agree to build a new clinic. The New South Wales Government should make arrangements to ensure that ambulance and hospital services at Goondiwindi are available for the people at Toomelah. The staff at Goondiwindi Hospital should be trained to make sure that they do not discriminate against Aboriginal people and that they provide proper care and treatment. We heard a lot of evidence about serious racial discrimination against Aborigines in the border region. There has been discrimination and racial tension at the Goondiwindi High School, in the community activities at Goondiwindi and also against Aboriginal families in their own homes in Boggabilla. We were very glad to hear about the efforts of Goondiwindi Town Council, the churches in the area and the local sergeant at Boggabilla to try to understand Aboriginal people, to meet with them and to talk about issues that concerned them. We hope there will also be some action taken to prevent discrimination in the future. The new committees that have been set up will be important in making racial discrimination a thing of the past in the border region. Aboriginal sites are very important. It is essential that Aborigines can visit their sites and that they are not destroyed. We are concerned about Boobera Lagoon which has been damaged by farming and recreational uses. The part of the Lagoon which is an Aboriginal Place and which the Toomelah Land Council is claiming has to be properly protected. The National Parks and Wildlife Service has a duty under its legislation to protect the area, if necessary by prosecuting people who cause damage. The Service should be doing this. Difficulty with access to sites and land claims is a problem which shouldn't exist. All Aboriginal land should include rights of access and particularly Old Toomelah. Several of the witnesses from Toomelah who spoke to the Inquiry said how important land rights and self-determination are if Toomelah is going to make any progress. We agree that self-determination is essential and recommend that the Human Rights and Equal Opportunity Commission should do more research .into exactly what is involved. In the meantime, consultation about services and control over their own lives are clearly necessary for the Toomelah people. 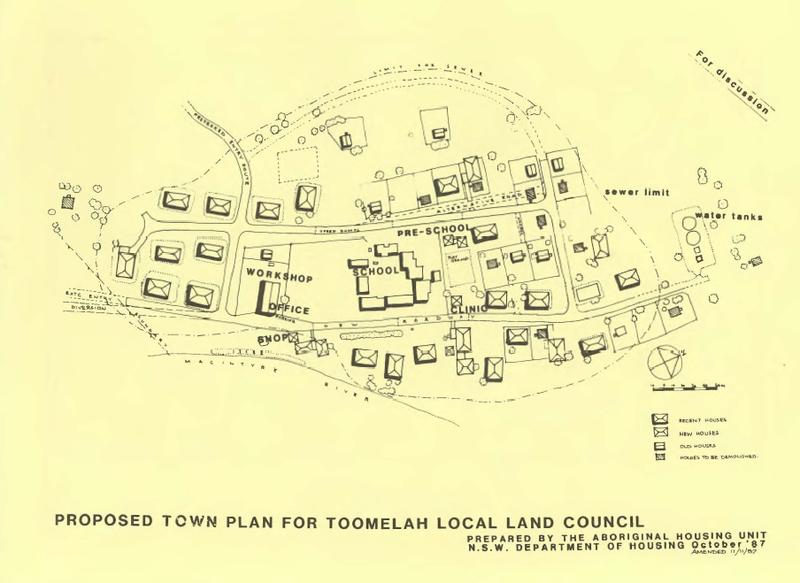 With the Toomelah Social Plan already underway, Toomelah people have an important chance to make a co-ordinated plan for the future of Toomelah. The Human Rights and Equal Opportunity Commission intends to give the steering committee every assistance it can. Opened Feb 1988, permanent premises to be constructed. Douglas McSullea - NSW Local Government & Shires Assns. David Effraemson - NSW Local Government & Shires Assns.